Aliaga landed Quinton Hosley (198-G/F-84). The player signed a one-year deal with the Turkish team. The 25-year-old guard started the last season in Real Madrid. He averaged 7.0 points, 3.5 boards and 1.1 steals in the ACB. In Euroleague his stats came up to 8.6 points and 3.2 boards. 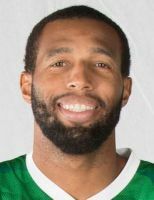 In February Quinton Hosley moved to Galatasaray. The guard tallied 15.9 points, 5.2 boards and 2.4 assists per appearance in the TBL. He also delivered 13.0 points and 5.0 boards in two EuroChallenge outings. The Fresno State University graduate moved to Europe back in 2007 when he signed a contract with Pinar Karsiyaka.